Again this summer after select DCI performances, you'll be able to purchase and download a corps entire performance from those shows (or multiple corps or, heck, the entire show) to your computer for one incredibly low price per corps! All from the comfort of your own living room! 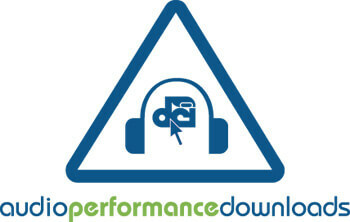 That's right -- it's the return of "DCI Audio Performance Downloads" (APDs). DCI will be professionally recording all corps performances at select shows this summer and placing the recordings online for purchase. Some shows will be posted an hour after the corps steps off the field! Others will be available several days after their performance. 100% of the download revenue is distributed to the current member corps including Division I, II & III corps to assist in offsetting their annual touring costs. The revenue generated from non-competing corps or non-existing corps goes into the general fund. Each download will cost $2.99 for non DCI Season Pass members and $1.99 for members. Downloads will be 128 kbps or 192 kbps unprotected Windows Media Audio files. PC Users will need Windows Media Player 10 and Mac users will need Windows Media Player 9 to play these files. Audio Performance Downloads will import into iTunes.